Upon arrival, you will find yourself surrounded by tons of trees and even more flowers and perfectly manicured shrubs. The backdrops for photos are endless both on the property as well as down on the beach and in the bay. With little nautical accents here and there, it truly is a beautiful option for your ocean inspired summer wedding. After spending the morning together surrounded by a small group of family and friends, Chelsea & Mike parted ways briefly to put together the finishing touches on their attire for the event before meeting at the waters edge for a first look. From there, we did portraits and then they got married on the outdoor patio of the B&B with the most stunning of scenery as a backdrop. It was perfect. 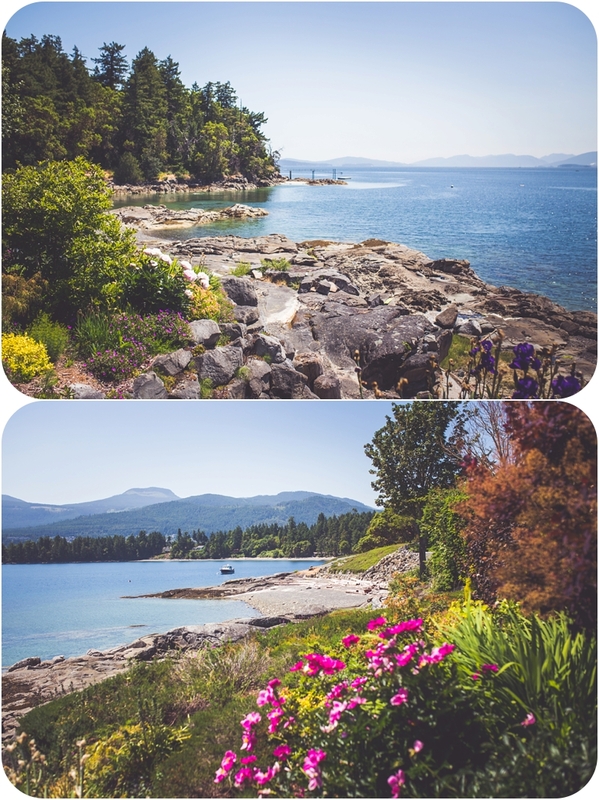 Are you planning an intimate wedding near Ladysmith, BC? I encourage you to take a look at what this lovely venue has to offer. It's quite a little hidden gem and the owners were sweet as pie. And as always, I would be honoured to capture your day. Please get in touch if you are interested in learning about all I offer my clients for their wedding day.